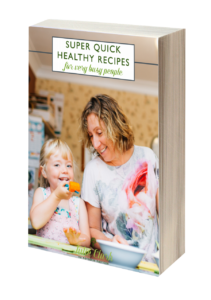 I first met Julie when my twins were 8months old, I’d already started spoon fed weaning and it’s safe to say we all hated it! I was sceptical but intrigued to try BLW but knew I needed help, so I joined one of her courses and it was a complete life changer! Anyone who is a little worried I cannot recommend Julie enough I tell everyone who’ll listen about her. At first I admit I found it difficult to adjust to the mess but it doesn’t last long and they loved it which meant I loved it. It was so easy and being a mum to multiples ease is a must! 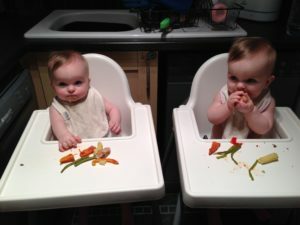 My girls are fantastic eaters, which I owe to BLW, they eat anything and everything and are a pleasure to go out to dinner with. We all get to eat together, instead of one of us helping and missing out. They’ve been that way since they were established eaters. Safe to say…. it’s worked for us and I’m an avid supporter! Thanks, so much Julie!